Still, there are a few basic guidelines to follow, whether you're pruning a large tree, a Bonsai or a bush. With a little hand pruning practice, you'll recognize the pattern. Now, before I get into a review of the different patterns, I’d like to share a few expressions from the pruning world. This way you can familiarize yourself with what you’re doing. 1. 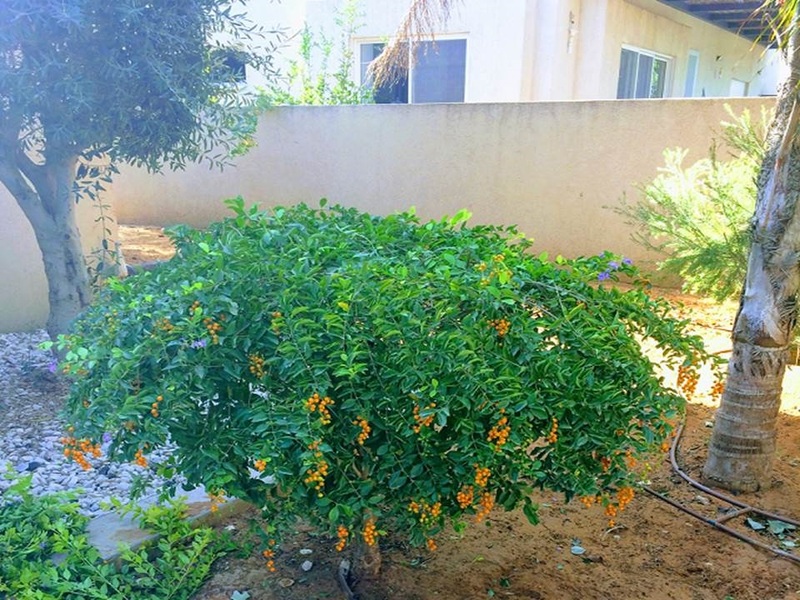 Thinning - pruning branches that don’t fit the general form of the shrub. 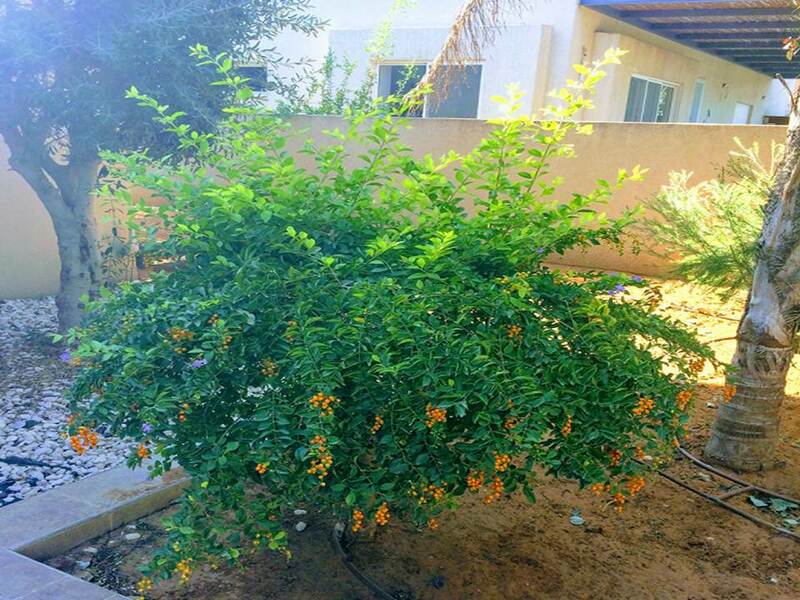 When thinning, please make sure not to remove more than 1/3 of the shrub. See what I mean by thinning in the following 2 pictures. On the right, you can see the "crazy professor hair" - it’s just all over the place. On the left, the crazy professor looks like he’s just stepped out of a beauty parlor after getting the complete treatment. And it only took me 3 minutes of going a little crazy on the crazy professor with my hand pruners. 2. 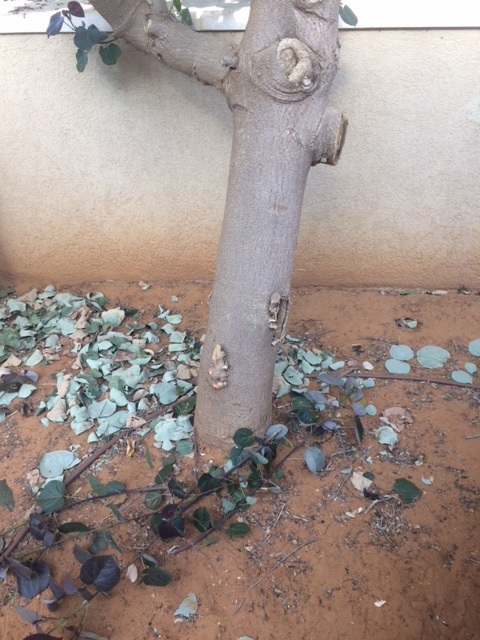 Removal - pruning dead or live branches that grow in different places or in wrong directions. On the right, you can see a Hibiscus tree with branches which have grown slow and steady, but have spread to in different directions. Not what I want see in my garden. So, I’ll use removal pruning to get rid of them. 3. Dilution - to provide more sunlight and allow fresh air to flow into the base of the plant, encouraging the growth of young branches. 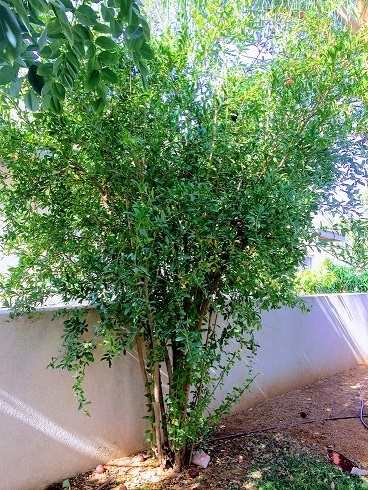 Dilution makes the plant more aesthetic and enables a clear view of the plant, so you can see unwanted branches and diseases. Take a good look at the images below and you'll see the difference. 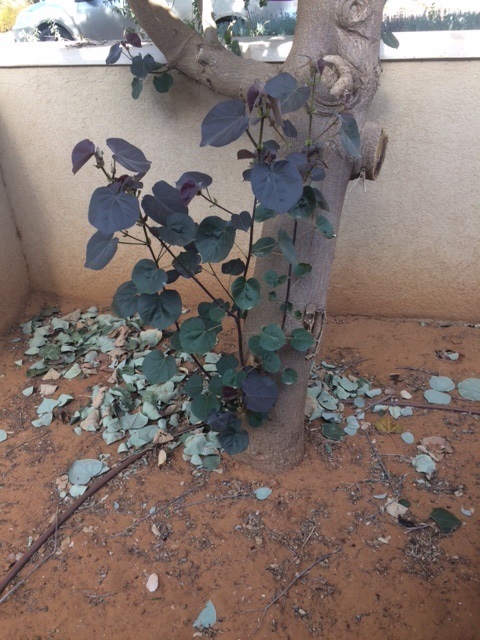 See how the picture on the right shows a high density of leaves and branches near the stem and at the top of the plant. only 7 minutes later and you can see in the image on the left a much cleaner area near the stem and more space at the top of the plant – that’s dilution. I'm not done yet, there’s still work to do, but I wanted to show you the differences. And yes, it took me only 7 minutes using my hand pruner. 4. Trimming - a combination of trimming and thinning, used for pruning away small short canes, shoots and dead or un wanted branches, but needs to be done very gently. 5. Turning sides - when you want to change the direction of growth. 6. 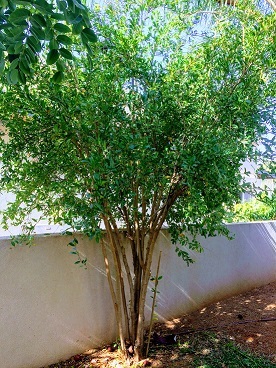 Renewal pruning - this is used for new growth, to replace exhausted old branches. We mostly won’t be using these last two pruning methods (turning and renewal pruning), though there may be some exceptions – you never know what we might come across in someone’s garden! How to prune - more important than the technique you use, in my opinion, is the tool you use – it’s all about your hand pruning shears. No joke. If pruning is your thing I beg you, use sharp, high quality pruners - they will make your life, and the lives of your plants better, easier and happier. Why? Because cheap pruners with cheap blades can cause significant damage, including diseases that can hurt and even kill your plant. I’ll get back to that later. 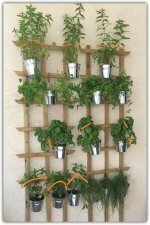 Me, I’m a crazy collector of pruners, I have a pair for almost every plant, and although I don’t expect you to be so extreme, I can tell you that my collection of pruners brings much joy to my garden. Back to pruning, and we’re onto buds. 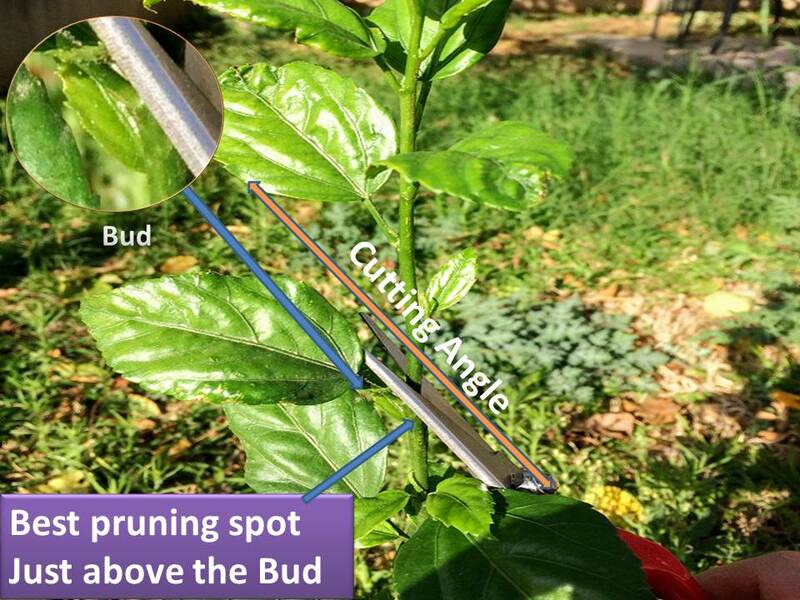 As you can see in the image below, a common pruning spot would be just above the bud. Use this short glossary if you’re not clear on what I’m saying. Now, I’d like to stop for a minute and say this: You don't have to be precisely accurate in where and how you cut every time and with every plant. Most will respond well to your love and attention, however it comes. I myself don’t always follow the rules, but I do believe that if you’re starting out, you might as well learn the right way to do it in botanical terms. Acquire professional habits from day one, practice and then go freestyle. Finally, take a look at the following image - see the "Where to prune" markers and just keep them in mind. The size of the branches don’t really matter, the “how to” basics are: Spot and Angle, and remember to leave a little bit of branch above the point where you made the cut.